The Russian Orthodox Church celebrates the memory of Hieromartyr Constantine Pyatikrestovsky on March 6 (February 21 on Old Calendar). In the bloody year of 1937, he was arrested on trumped-up charges of “anti-Soviet agitation” and sent to the Mariinsk camp. Fr. Constantine died from the heavy work of harvesting timber. An elderly woman, Ludmila Sergeevna, often went to the post office. In the village near Moscow where she lived, everyone already knew where and why she went and did not ask any unnecessary questions. Ludmila Sergeevna did not go there to buy a newspaper – she was waiting for letters from her husband. If it had not been for these last words, Ludmila Sergeevna might have felt more at peace. The fact that her husband was alive and well raised her hopes for the better. But the ominous article number overshadowed everything he had written before. For Soviet Russia, 58-10 was not just any set of numbers. Being sentenced on a “political” article in 1937 meant being sent to another world. No one knew if there was any possibility of return. 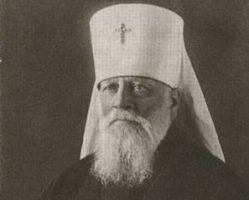 Ludmila Sergeevna’s husband, Archpriest Constantine Pyatikrestovsky, did indeed die in a hospital of the Mariinsk camp on March 6, 1938, and was buried in an unknown grave. The last name Pyatikrestovsky came from his grandfather Stepan, the first priest in his family. 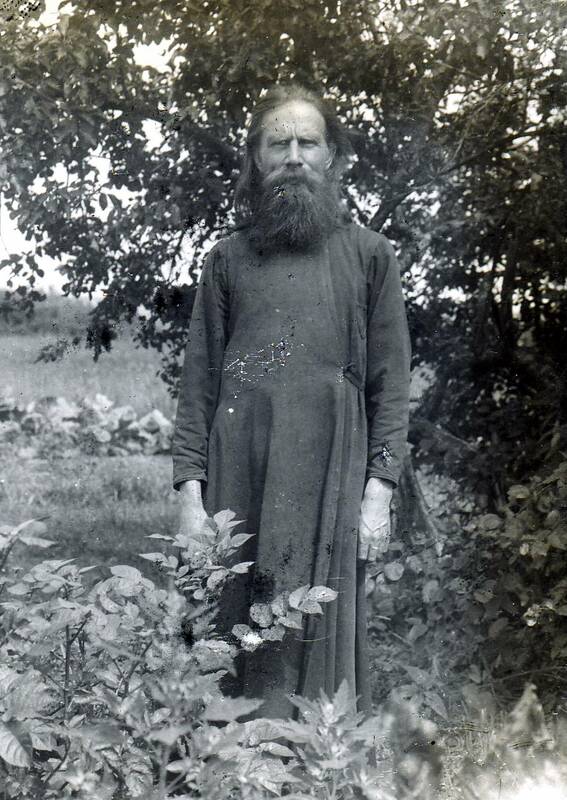 He was a peasant, born in Pyat’ Krestov near Kolomna, Moscow region. When he was entering the Kolomna Theological School, Stepan was asked: “What family are you from? 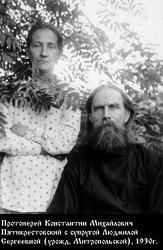 Where do you come from?” He replied that his family, the Yakovlevs, lived in Pyat’ Krestov. Since they had two Yakovlevs that year, they decided to enroll Stepan as Stepan Pyatikrestovsky. Constantine Pyatikrestovsky was a Muscovite, the son of a deacon, and graduated from the Moscow Theological Seminary in 1897. As did most young men from priestly families at that time, he married the daughter of a priest: Ludmila Sergeevna Mitropolskaya. In 1897 he was first ordained a deacon and then a priest. Apparently he did not have any connections with people of consequence and, therefore, he served in village churches in the Moscow province. He was in the village of Konyushennaya Sloboda (now a suburb known as Zarechie) in the Dmitrov district when the revolution began. In the middle of the village stood a church in honor of the Entrance of the Most Holy Theotokos into the Temple. 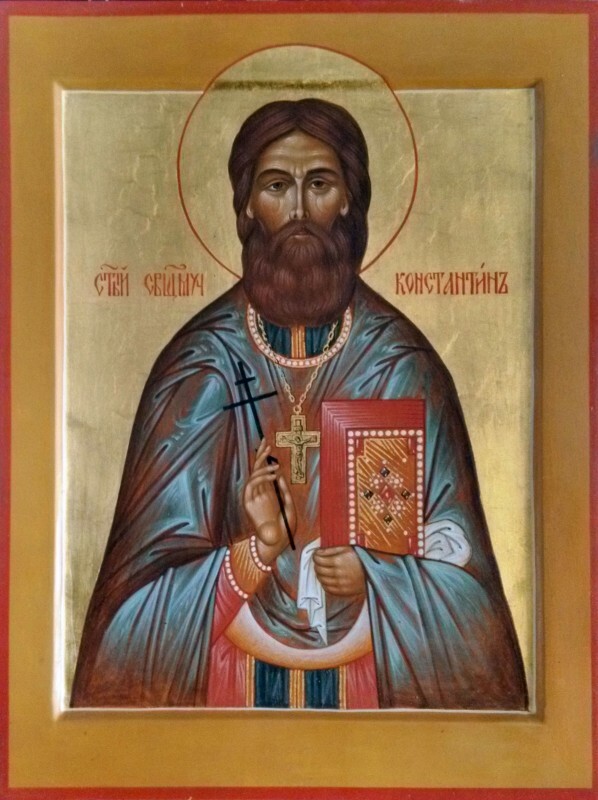 The Hieromartyr Constantine served at that church for a total of twenty-four years. 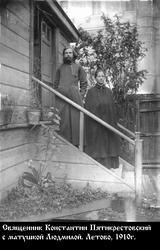 The Pyatikrestovskies were a strongly Orthodox family. Fr. Constantine and Matushka Ludmila had four children. They lived in a house near the church. They had a garden and kept goats. They made enough to help those in need. After the revolution, they even hired impoverished peasants. 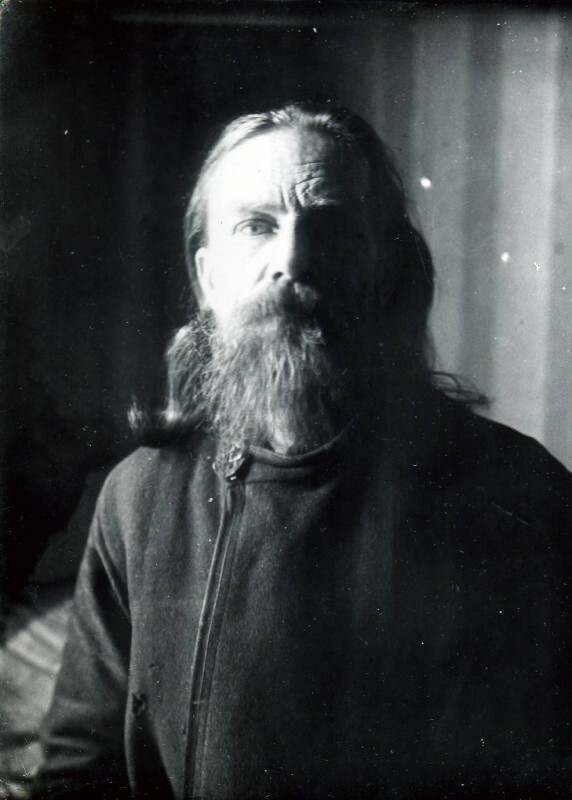 Archpriest Constantine was arrested on November 26, 1937, and put in the Taganka Prison in Moscow. At the same time, fourteen priests and a deacon of the Dmitrov cathedral were arrested. “I do not admit guilt to anti-Soviet agitation. But I did say: ‘It is time for the Bolsheviks to realize that priests are not the issue, it is something else. Do they really not understand that priests do no harm to the authorities?’ In private conversations I have stated: ‘The Orthodox faith and faith in God in general will not end with the imprisonment of priests and with the closing of churches – it will not end, this faith, because it is immortal.’ Moreover, I said that the Bolsheviks do not fight with religion in an ideological manner, but in a violent way by arresting clergymen, but that the situation has not changed for the better by violence and arrests. The “investigation” ended quickly. One day Matushka Ludmila and her son came to deliver a package to her husband in prison, when she was told that “all priests” had been taken away the night before. On December 5, 1937, a NKVD Troika made an accusation of “anti-Soviet activities and agitation” against Fr. Constantine, sentencing him to ten years in correctional labor camps. 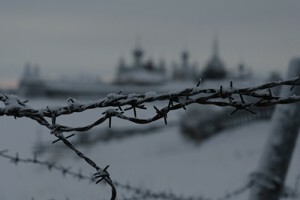 Later a witness of those events, a deacon from the Dmitrov cathedral, said: “All the prisoners were brought together… young people appeared with scissors and razors and, mocking and sneering at them, cut their hair, shaved them, and stripped them of their robes.” Archpriest Constantine was sent to the Mariinsk camp, where timber was harvested. Correspondence was banned, but one day Fr. Constantine managed to throw a note for his wife above the gate – a little paper square. A kind person took it and sent to the written address. Fr. Constantine was unable to sent any more letters home. In summer, Ludmila Sergeevna received the message of the death of Fr. Constantine in prison. According to the available information, Fr. Constantine reposed on March 6, 1938. An in absentia funeral service was held in the Entrance of Theotokos Church on July 6, 1938. In 1959, Fr. Constantine was completely vindicated by the Soviet authorities. 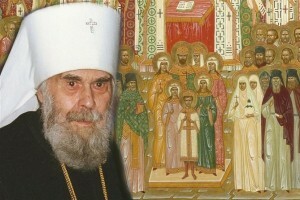 In 2000, the Council Bishops of the Russian Orthodox Church numbered Archpriest Constantine Pyatikrestovsky among the New Martyrs and Confessors of Russia.